The final Valek and Yelena story….I’ve been waiting for this so long it feels. It was good to meet Ari and Janco again – that duo never change and I love them. Likewise Little Miss Assassin, and some of the up and coming newer youngsters that look set to move into place if there are more books planned. Fisk is now a leader of a fairly large group, a clever man grown up from that quicksilver lad we first met. I always love seeing him, and his clever way of finding out things, knowing who has what skill and putting people where they’re best utilised. The storyline had become very complex with it being difficult to recall who was supposed to be on whose side, and why, and whether they were still with that group or had switched sides, or where playing a spy role. It made sense – in a way – but did become difficult to follow and dull at times. I enjoyed the early reads when we knew who was for which side, when there were times a character – or a few characters – were duped, but not on the mass scale of this story. I did enjoy the story, even with the repetitive bits and the other issue I mentioned, just that for me they stopped it from being a five star read, stopped me being glued to the book, having to read “just one more chapter” and finding out its 3am….all avid readers have been there! I found myself actually putting it aside easily, and felt that when it did come to the final point it was almost a non event…. Its not a book you can read without earlier ones, even just reading the first two in this trilogy won’t let you understand the minute details from the past, the things that shaped events now, and there are a myriad of little quips and reminisces here that refer back to those early reads. You could possibly miss out the glass trio, they weren’t my favourites anyway, but then you’ll still not really follow the storm-dance characters and what they do. 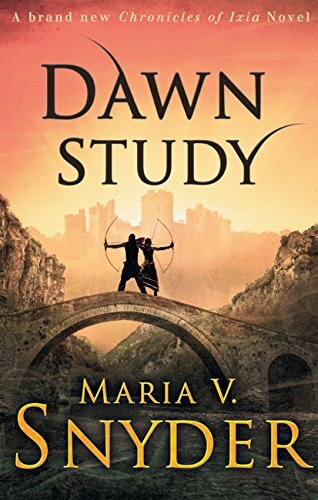 Its one of those series where to get the best you need to start at the beginning and work through, though I haven’t read any of the side novellas, and they are extras rather than essential reading. I haven’t read a lot of Steampunk, a couple that were really enjoyable and a few that were OK reads, but its good to read outside one’s comfort zone occasionally. This book sounded fun, but for the first half it really was a western type read more than steampunk, with very little to bring the story into that category. I liked Sensibility, and her confidence in her abilities, and enjoyed the aether refs, they made for a bit of extra and Steampunk does need that touch of magic IMO. I wasn’t really taken by any of the other characters though, and found the plot to be a little thin. It seemed to be a who can be trusted and everyone is out to get the Journal, and rather too much bumbling around to fit my taste. It picked up after the halfway point, but never really hooked me fully into the story and the steampunk elements were very thin on the group. 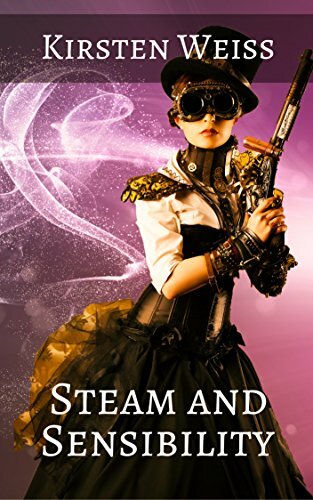 The author mentions this was a book that has been reworked to fit the steampunk category and to me it feels like that, doesn’t feel as if its fully immersed in the genre, but another story with added extras making it fit where the original story didn’t. There was the watch, and the little mechanical sweeper she made, but no traditional elements such as dirigibles, fantastic creatures etc until close to the end. Maybe it will appeal to steampunk lovers more than those like me who tend to stay on the fringes, I don’t know, its not a bad book, just one that was only an OK read for me. It’s a fun read, but definitely a one off for me. Stars: Three, an OK read but steampunk is a bit thin.